October 5, 2018 – The frenzy over two dozen bottles of 60-year-old Macallan single malt whisky has led to a likely new world record for the most expensive bottle of whisky ever sold at auction. Bottle number five of The Macallan 1926 60-year-old Valerio Adami edition went on the auction block Wednesday at Bonhams in Edinburgh, Scotland. After the whisky was bottled in 1986, The Macallan’s owners commissioned Adami and Sir Peter Blake to create special labels, with each artist’s work to appear on 12 of the 24 bottles that were used as corporate gifts. 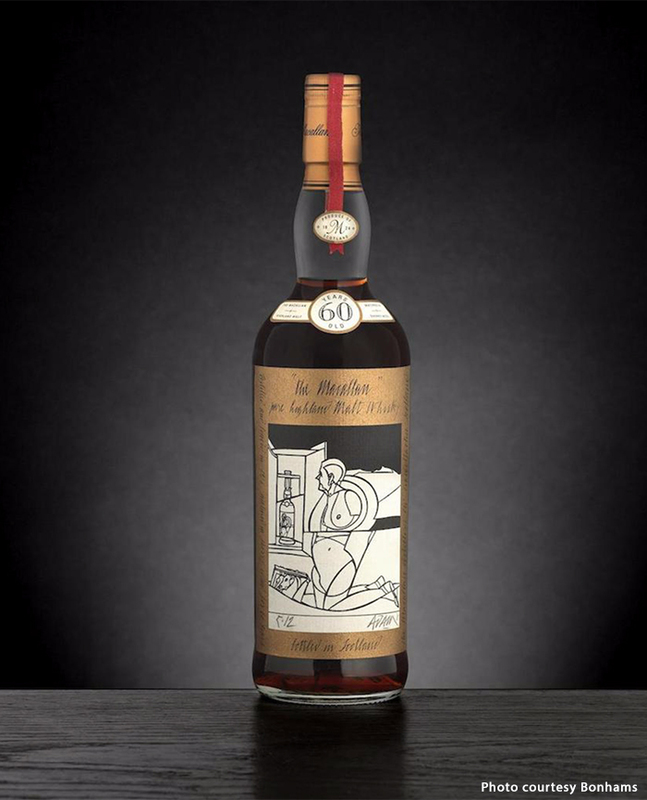 Bottle number five had been in the original giftee’s possession ever since, and according to Bonhams, an unidentified Asian bidder placed the winning bid of £848,750 GBP ($1,107,663 USD) by telephone. The high bid eclipsed the previous record set in May at Bonhams in Hong Kong, when bottle number two of the Adami edition sold for £841,430 GBP ($1,101,936 USD). The previous record was set earlier that day in the same auction when a bottle of the Blake edition sold for £774,511 GBP ($1,014,422 USD). While the current record has already lasted longer than that Blake bottle’s record, it may well not last long enough for Guinness World Records to complete the certification process. Sotheby’s will place bottle number nine of the Blake edition on the block October 12 in New York City, and Christie’s will auction another 60-year-old 1926 Macallan from the same batch in November. 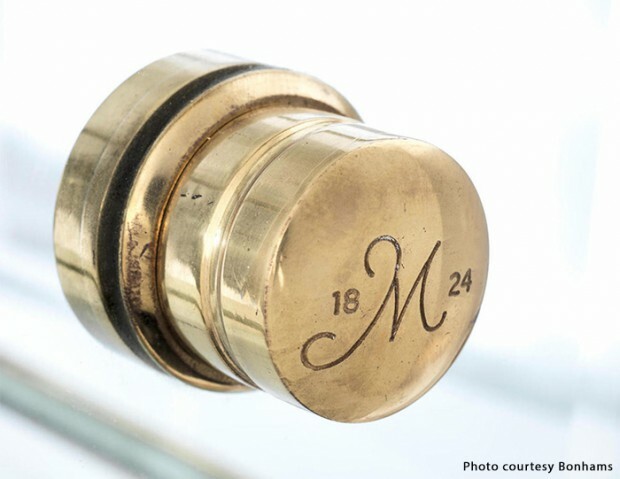 The remaining 16 bottles from the 1986 bottling went into The Macallan’s Fine & Rare Collection for sale to the public, but this was the only one with a label hand-painted by Irish artist Michael Dillon. It has not been seen in public since it was sold at London’s Fortnum & Mason in 1999.